Sleepy faces. Slow movements. Few words. A common scene from an early morning. A nice breakfast put us all back on our feet, ready for chimp tracking. 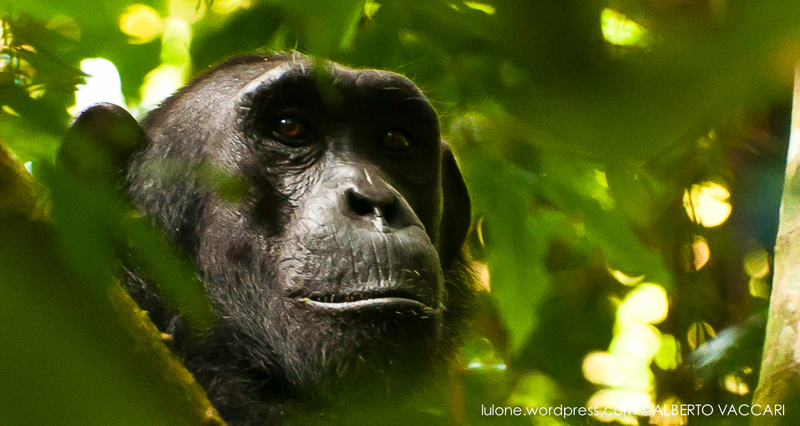 For the tracking, we had to go into the thick forest, moving slowly and staying together in a group. This is necessary in order to not be considered a threat by the chimpanzees; scattering around would give them a feeling of being surrounded, frightening them. It took us a good hour (or so) before we could see a chimp. Until then we could hear them calling each other (chimps have a sort of language; there are up to 30-40 sounds used for indicating different actions, i.e. food, anger, danger…). The first one, was a rather sleepy one; he stayed most of the time laid down on a large branch and chilling under the sunlight, turning around at times. 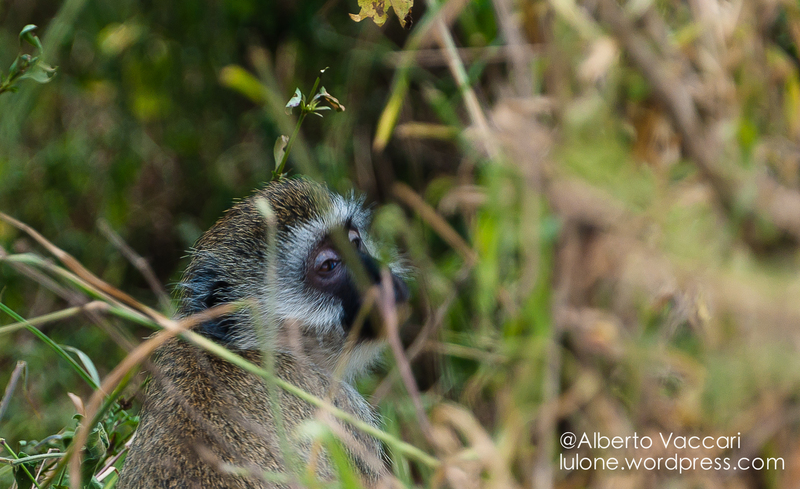 Today’s post is focused on the primates in the Lake Mburo National Park, namely the the Olive Baboons and the Vervet Monkeys. Right after getting at the HQ of the park, a troop (yeah, I googled that up) of baboons crossed a road nearby. At first, we were all very excited, it was our first close encounter with the wildlife (we had only seen some zebras on the way to the HQ, while being on the boda-boda); little we knew that we would see more and more of them and even from a closer distance.